The council does not have a legal duty to provide a pest control service to control mice; however it does have a legal duty to ensure they are controlled wherever they occur whether this be by self treatment by those affected or by the engagement of a private pest control service. Why don't we carry out treatments in the garden or outdoors. Due to the risks from using pesticides outdoors and the low risk or harm from mice we will not carry out any treatments which are unnecessary, ineffective or of risk to humans, pets or other non-target wildlife. £42.90 (Incl VAT) for a full treatment for those entitled to any concession. See About Pest Control for a current list of concessions. We aim to attend calls within 2 working days. No, There is nothing you need to do before we attend. For the initial visit, we offer a choice of either 08:00 - 12:00 or 12:00 - 16:00 Monday to Friday. After the initial visit you may agree a revisit with the officer attending out with these hours but we cannot guarantee this will be possible. We do not work over the weekends or on public holidays. This can be very variable due to a number of factors. As an average the full treatment will take around 4 visits over 4 weeks. However, this depends on a number of factors such as size of the infestation, re-infestation, accessibility of alternative foods etc. In the case of council properties we will inform the housing office of repairs that are required to try and reduce the probability of re-infestation. You will also be given advice as to what you can also do to help prevent this. In the case of non-council properties you will be given advice only on any repair works and other things you may have to do to try and prevent re-infestation. 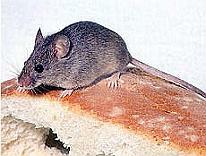 The council pest controllers will not carry out any works on your house.